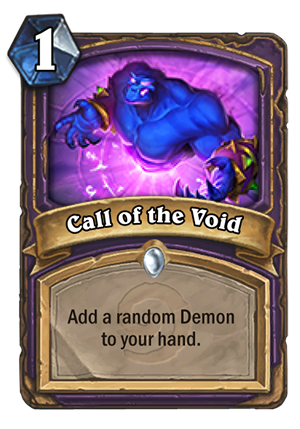 Call of the Void is a 1 Mana Cost Common Warlock Spell card from the Classic set! Add a random Demon to your hand. Why didn’t they just remake the card: Give a friendly minion +3/+3 discard a random card from your hand. 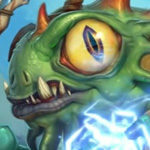 You don’t want to play this kind of “generate a random type of card” unless you can synergise with special features like playing spells or playing cards that don’t begin in your deck. 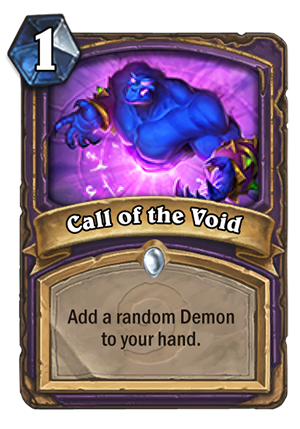 Since warlock has no such synergy, this card seems totally useless to me. I’m fairly sure these cards are designed with new players in mind – it gives them a chance to play a “cool” demon that they don’t yet have. Useless for long-time players of course. Of course, I agree. 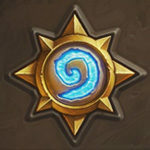 These cards design is not bad : they have been made for new players. My comment was only about the competitive point of view.